Is it too late for a #tbt? 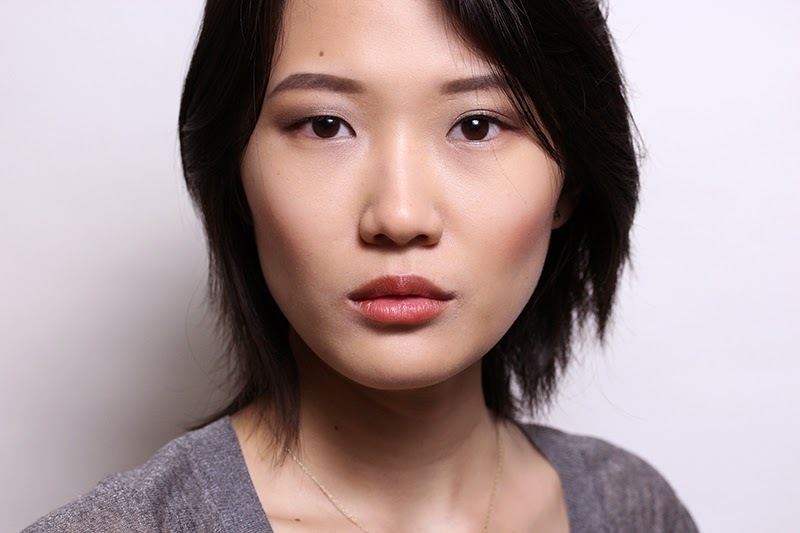 Look at the pan action on this Burberry Earthy Blush. Considering that I've had this for over two years (see this post, two lighting setups ago!) I guess it's not much, but it's a lot more than all my other blushes! Seriously, how do beauty bloggers hit pan, ever? There's nothing new I can say about it. 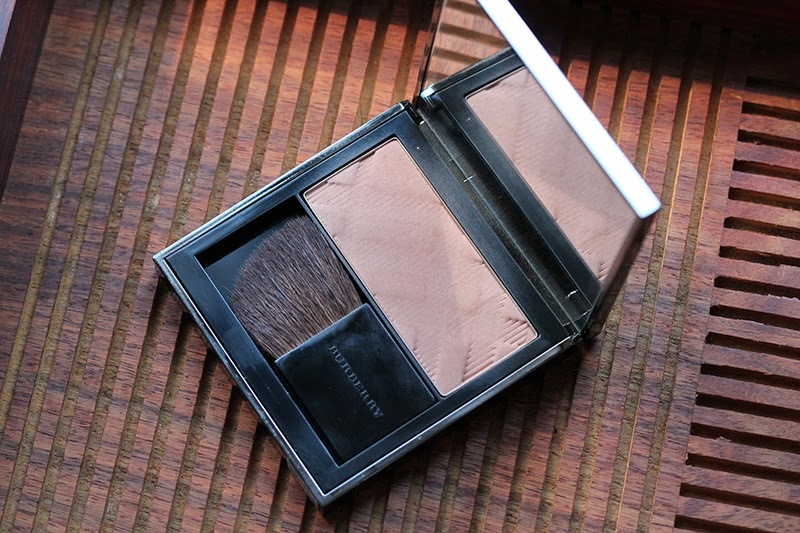 In my opinion, Burberry blushes have some of the best textures in the market – finely milled, uber pigmented, lightly scented, housed in a beautiful compact with a great, usable (!) brush. My only wish is that they would come out with more cool-toned shades. Earthy is what I call my cheekbone shade. Burberry Earthy Blush is mercifully part of the permanent edition line, retailing for $42 at Nordstrom. 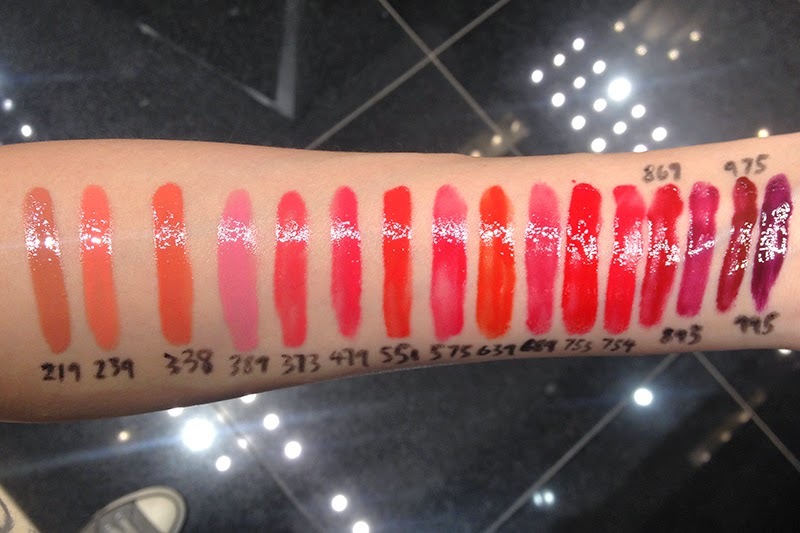 If you've been following the launch of the new Dior Addict Fluid Sticks, you'll know that Dior has been firmly insisting that THIS IS NOT A LIPSTICK. That is confusing to me. I don't think anyone trying it for the first time would jump to the conclusion that it is lipstick. Looking at the finish, THIS IS NOT A LIP GLOSS may have been more appropriate, but is it really not a lip gloss? 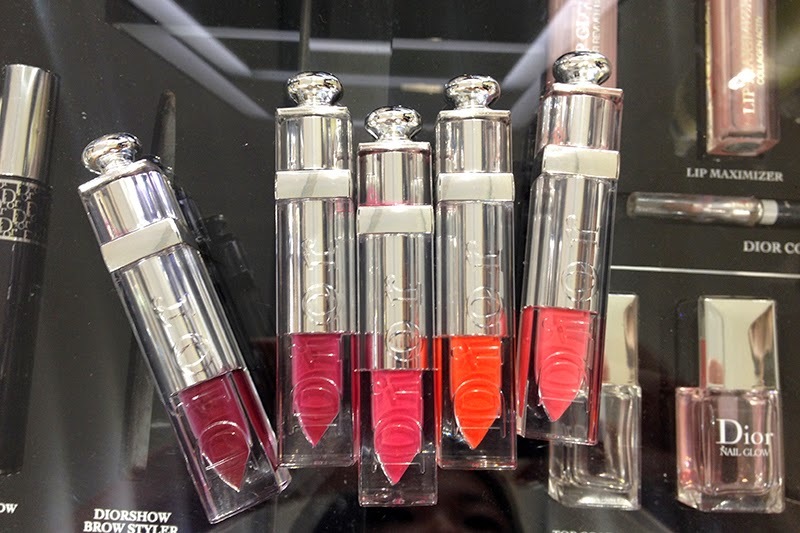 Dior claims that this is a revolutionary new formula that's a lipstick, gloss and lacquer in one. A lip hybrid, if you will. To me, that is not so different in concept from Le Metiér de Beauté Lip Cremes. These are shinier and easier to wipe off, like... a pigmented gloss. 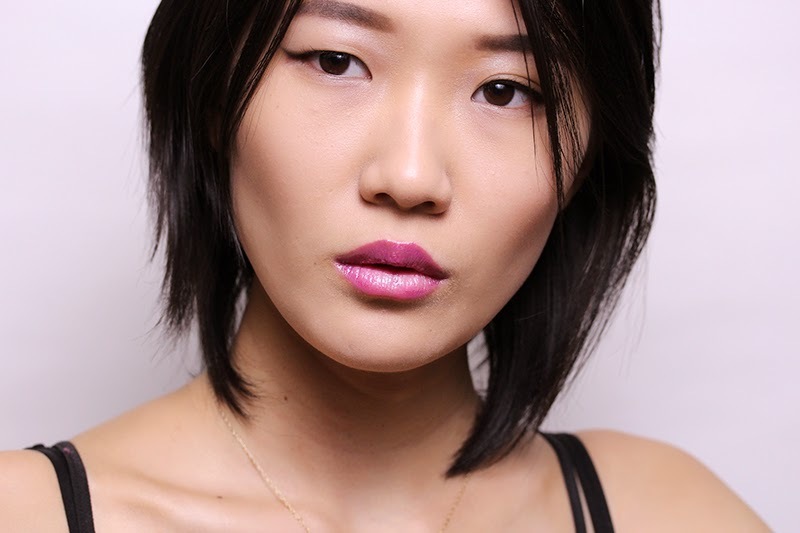 I would say that these Dior sticks redefine the "statement lip." 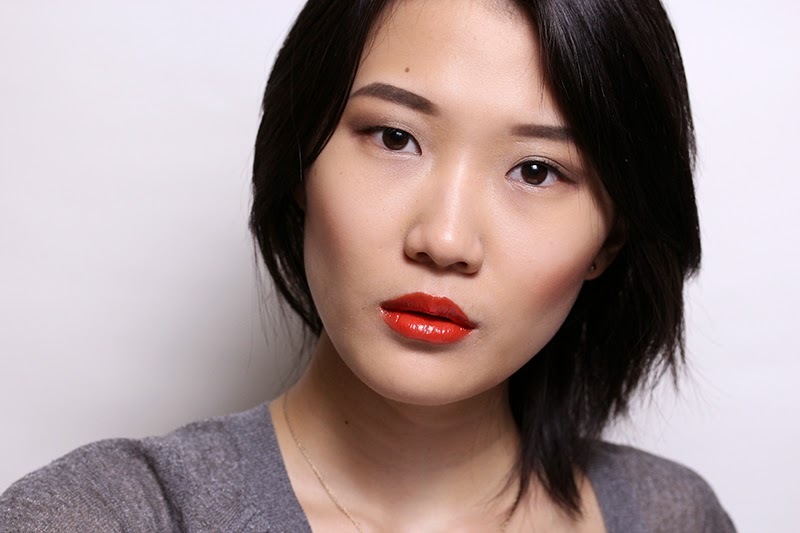 If you think orange lips are bright and attention-grabbing enough, try watery, shiny orange lips! I've had Artifice for almost two weeks, but I still haven't made up my mind about the formula. 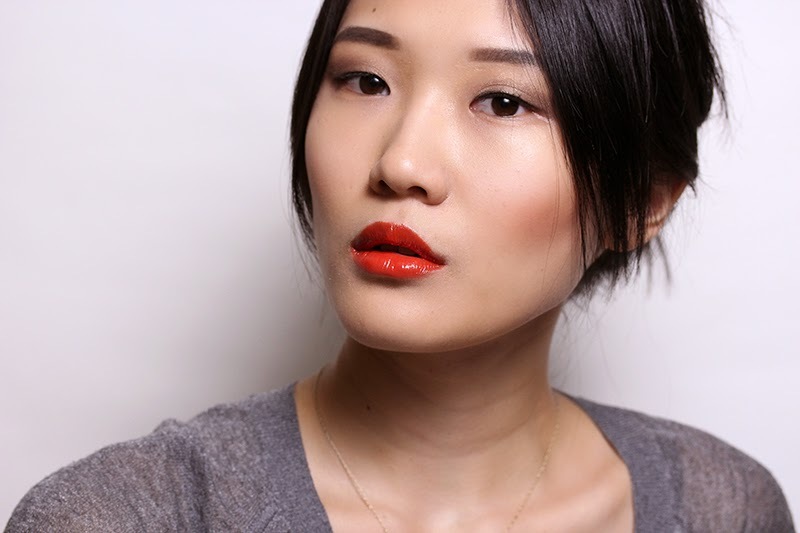 After wearing it a few times, I finally understood what other bloggers have been saying about the stickiness. The fluid goes on watery but becomes sticky after a while – not an intolerable lips-stuck-together kind of sticky, but enough that you can feel a slight heaviness on the lips. 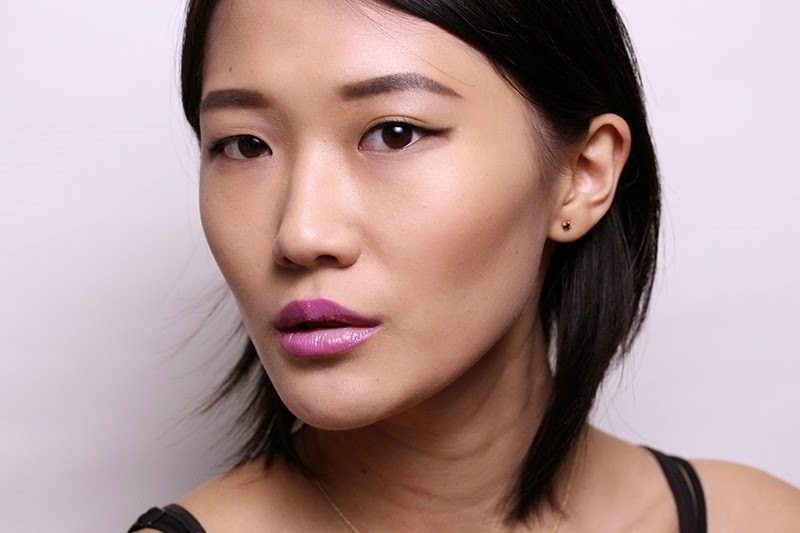 With the wealth of amazing lip formulas out there, there really is no excuse for this, especially from a brand like Dior. I really like the finish. I can probably replicate it by putting on orange lipstick and applying a clear gloss over it, but it just doesn't feel the same. The fluid (I originally typed gloss. Dior, can't we just call a spade a spade?) dries down to a really light stain, which I won't get if I were to execute the lipstick+gloss combo. The below picture was taken after two hours of talking, blotting, ice cream eating, and root beer drinking. Conclusion: If you don't mind mild stickiness in your lip formulas, the Fluid Sticks would be a fun addition to your vanity. As for me, Artifice fills the orange hole in my lip collection so I'll stick with it, but I probably won't be adding more of these to the cart. 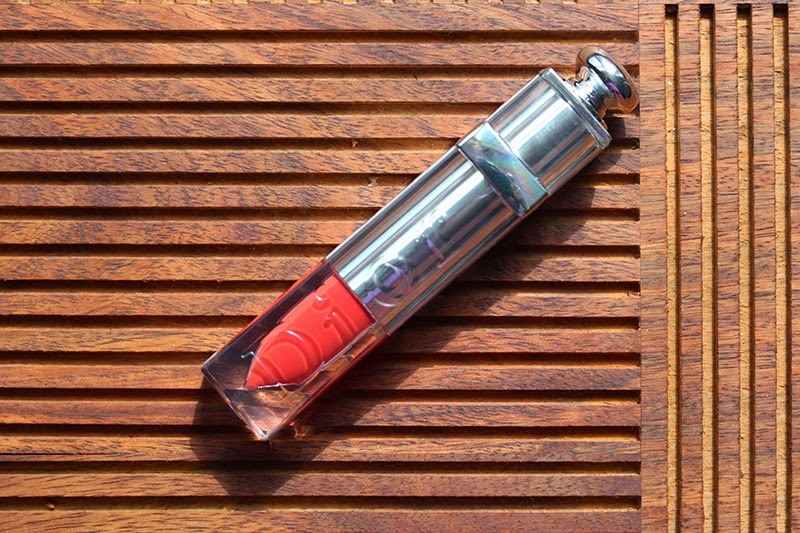 Dior Addict Fluid Stick retails for $35 and is currently exclusively available at Macy's and Dior.com. Update: Nordstrom got it! First: Happy Resurrection Day! Aren't long weekends absolutely glorious? If I had my way, I would work hard for four days and have three-day weekends every single friggin' week. Alas, the world's customs are not mine to tweak. Speaking of resurrection, my skin has been having an excellent time since incorporating a few new masks into my skincare regimen. Just a slather or two every other day in the week. The three I've been rotating are the Peter Thomas Roth Rose Stem Cell Mask, Cucumber Gel Mask, and Radiance Oxygenating Masque. 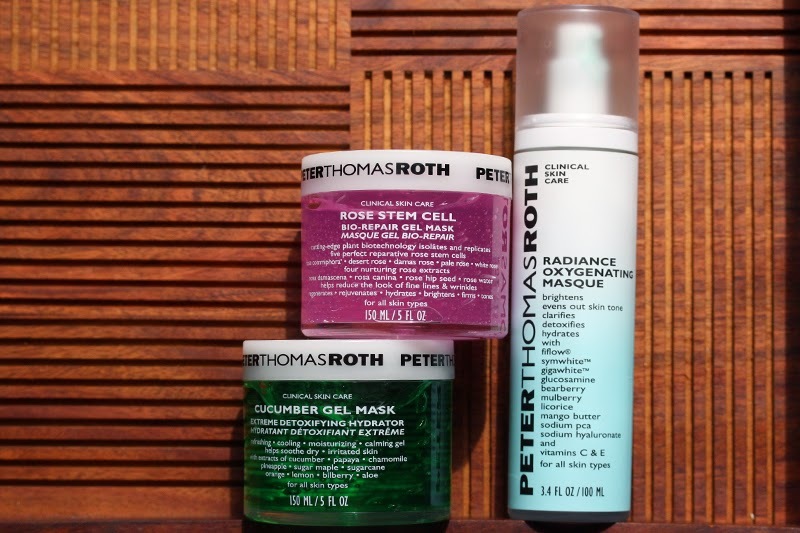 The Rose Stem Cell Mask is a new release for Spring 2014 and the Cucumber Gel Mask is a perennial Peter Thomas Roth bestseller. The former has anti-wrinkle repair benefits while the latter provides supreme hydration to the skin. Each mask has faint whiffs of its namesake scent, which in my case is a plus. What I like about most about them is you can use them as a traditional mask (apply and leave on for ten minutes, rinse off) or leave a light layer on to sleep as an intensive treatment. Way to cater to the multi-tasking lazyperson in me, PTR! Another feature I like (and this goes against my minimalist Muji-loving self but I roll with it) is that all the instructions and ingredients are printed on the product packaging. I've been told that the Radiance Oxygenating Masque is an Asia exclusive, but you can get it through some creative Googling. I personally think this should be brought back to the US. It's my favorite mask of the group, mostly because I can actually see and feel it working. The product is a blue liquid that oxygenates after you apply it on your face, as in you can see the blue liquid turn into white bubbles (accompanied by a cooling sensation) like above. It disappears after a while, which is your cue to wash it off. My skin looks brighter and feels more alive after using this mask. It completely makes sense that they suggest we use it before a big event in the directions. Just to reaffirm the claim that this is indeed a unisex brand, I asked my boyfriend (who will be a skincare addict one day if I had my way) to try on the rose mask, since he's starting to feel concerned about the wrinkles around his eyes (his words, not mine). We put it on, had 30 minutes of computer game time, then washed it off. 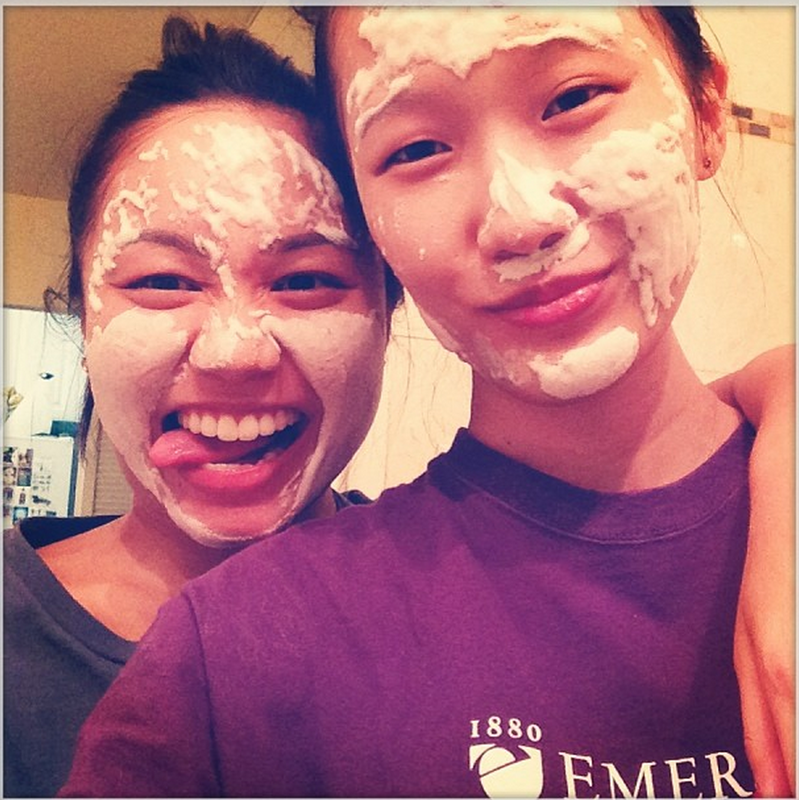 He was pleasantly surprised about how refreshed his skin felt, while mine was smooth like a baby's bottom. I wish the effects of the mask lasted forever. Peter Thomas Roth Rose Stem Cell Mask retails for $38. The Cucumber Gel Mask goes for $45. Both are newly available at Sephora. Full disclosure: This entry contains sample products sent by PR or the manufacturer for editorial consideration. This entry also contains affiliate links. After procuring this candle, it took me one week before I tore the plastic wrapping off the box, and another before I took the candle out of its cardboard house and placed it by my bedside. Part of it was because I didn't want to mar the smooth pink surface and dirty the pristine white wick, but another part of me was like, Seriously? You spent $65 on scented wax? 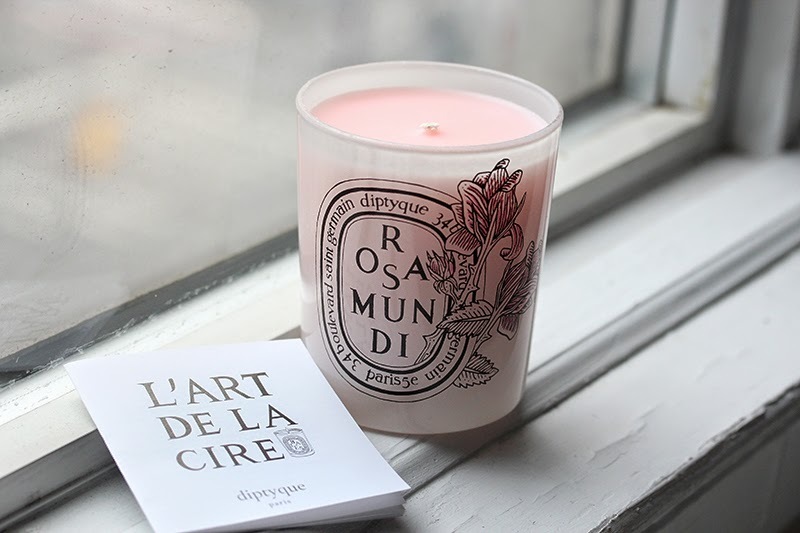 I have finally lit the candle, and perhaps due to overblown expectations, I was not impressed by Diptyque Rosa Mundi. Once during a sample sale, I managed to snag a mini trio that consisted of Opopanax, Feu de Bois, and Oliban. 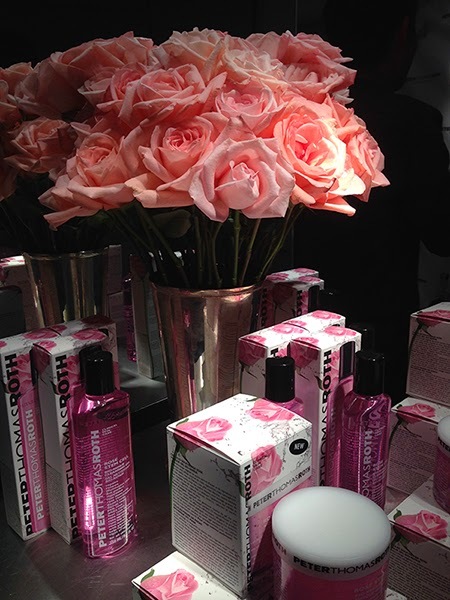 When I burned those, the fragrance filled my entire room, while Rosamundi barely hits my nostrils a few feet away. When I do smell her, it's a pleasantly sweet, powdery rose. But on days like today, after a loooong day at work, I look at the candles by my bedside – and this may be a little silly, because they are just candles, but each one holds a different meaning to me – and I'm glad I'm able to light this pretty little candle after all. Sometimes we do things that don't make sense because they make us happy, right?